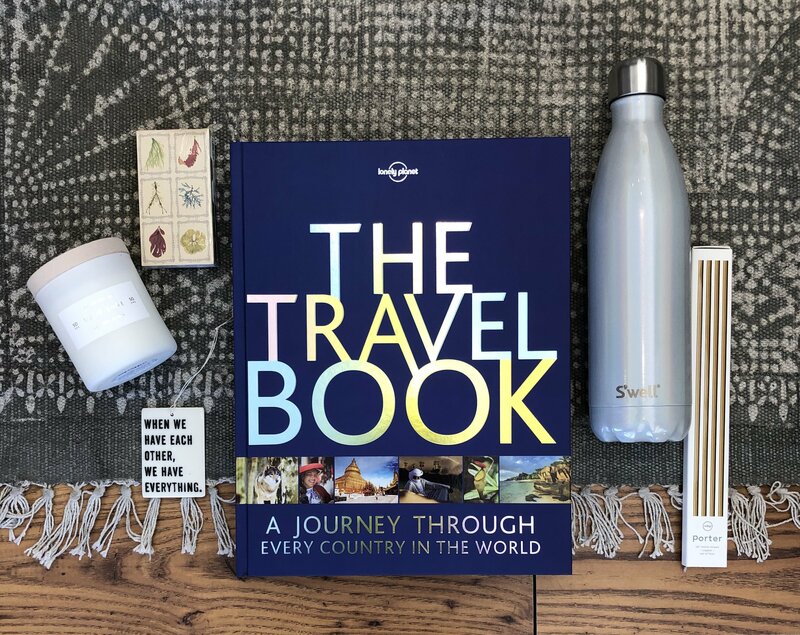 Here’s a little Gum Tree Gift Guide for all of the Valentine’s on your list. 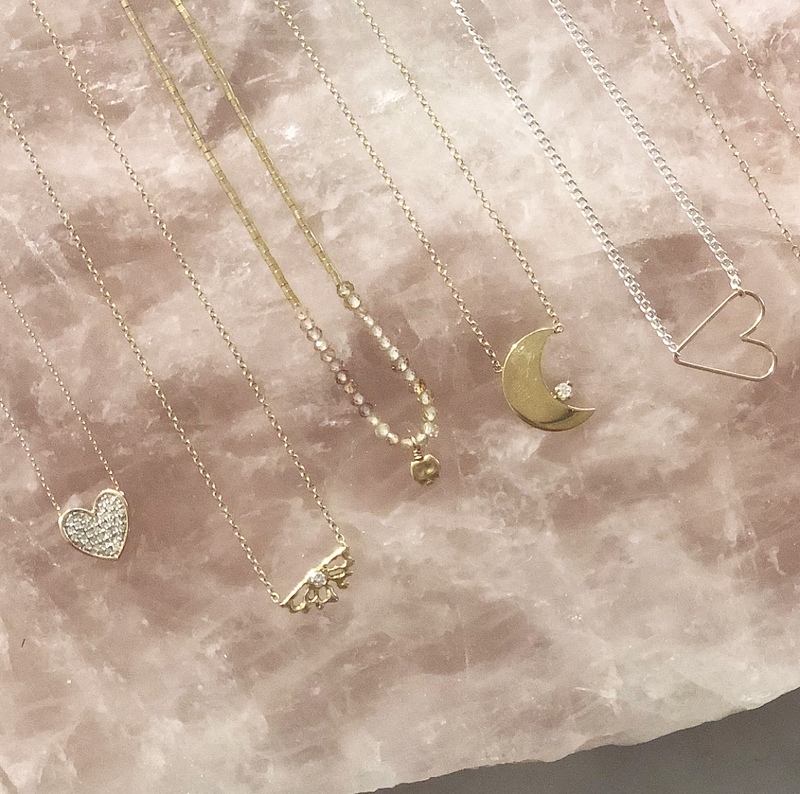 Adina Reyter 14k Gold & Pave Diamond Heart Necklace $594, Misa Jewelry 14k Gold & Diamond necklace $455, Iwona Ludyga Sister Sun Necklace $189, Zoe Chicco 14k Gold Crescent Moon With Diamond $495, Jane Hollinger Sterling and 14k Gold Heart Necklace $118. 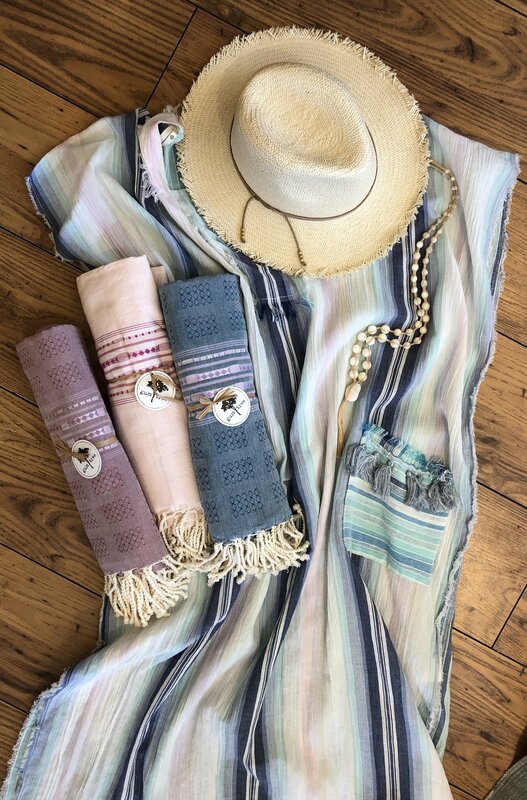 Hat Attack fringed fedora $100, Chan Luu mother of pearl necklace $193, Cover Up $55, Turkish towels $36 each. 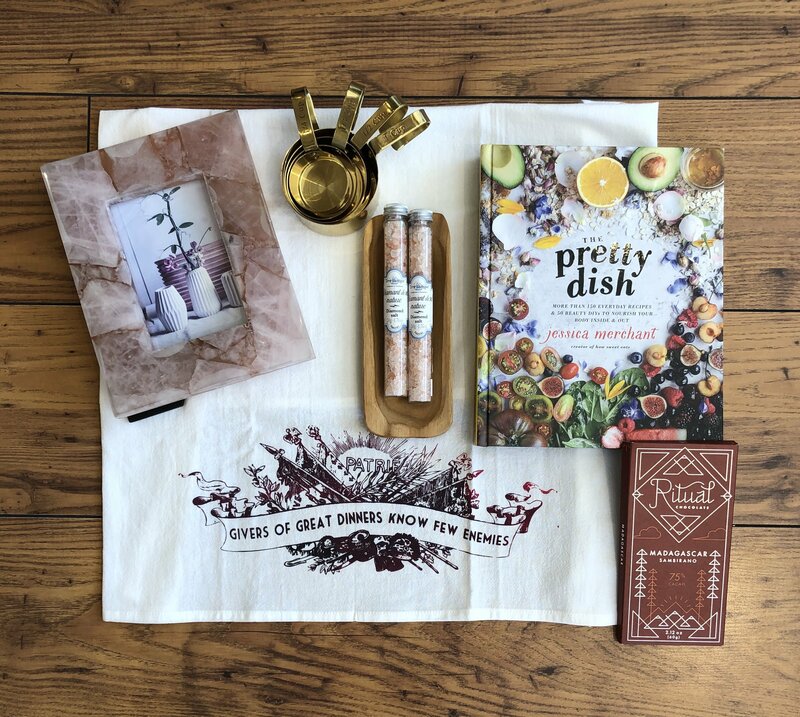 Pink Quartz frame $96, Gold measuring cups $36, Pink Salt $8, Wood Salt Dish $14 The Pretty Dish $29.99, Ritual Chocolate bar $10, Valentine Viannay Tea Towel $19. 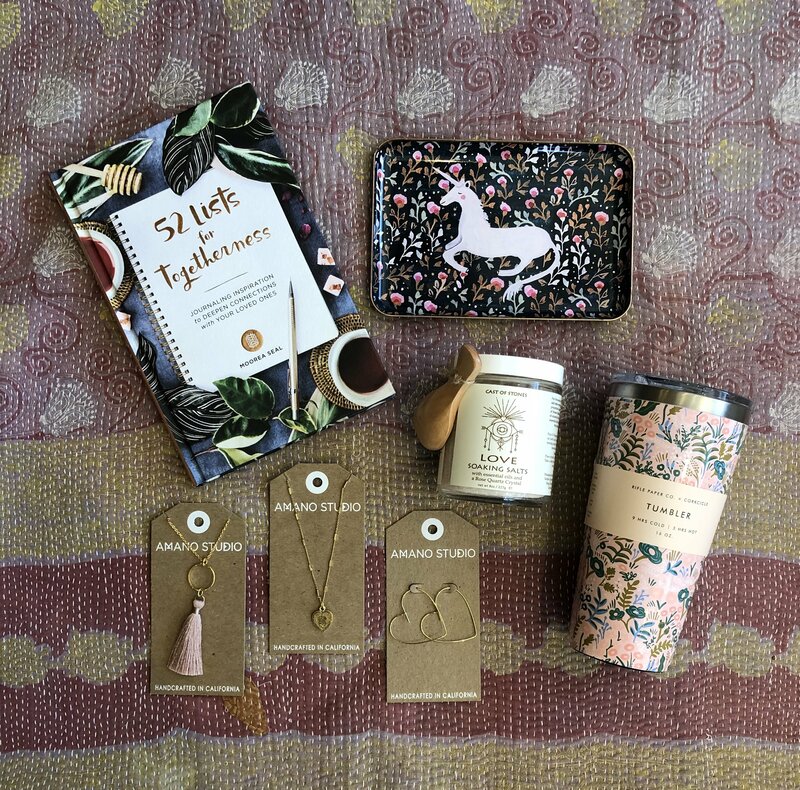 52 Lists $16.95, Unicorn tray $17, Love soaking bath salts $22, Rifle Paper + Corkcicle tumbler $32.95, Amano Studio heart hoops $30, Heart necklace $28, Tassel necklace $32. 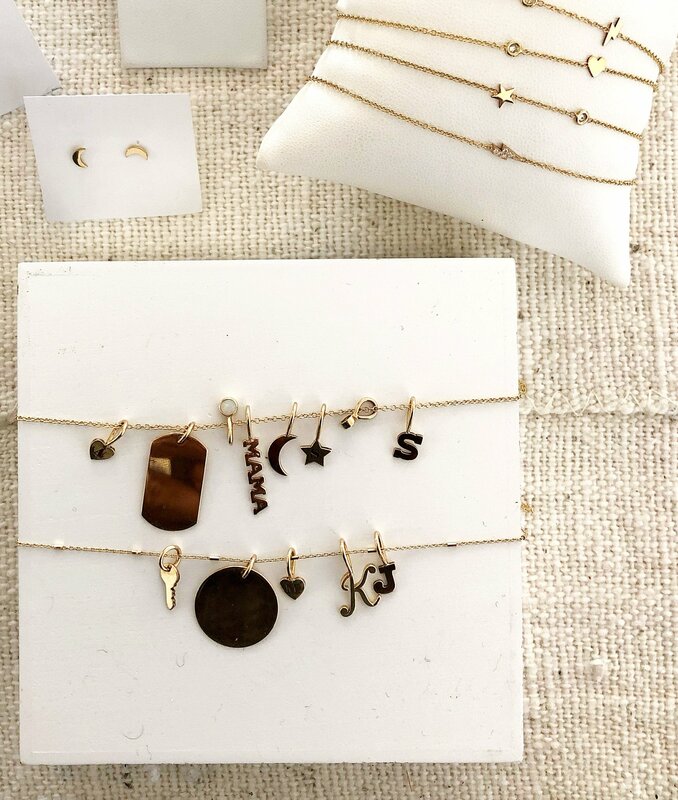 All Solid 14k gold, we are in love with her new charm collection! 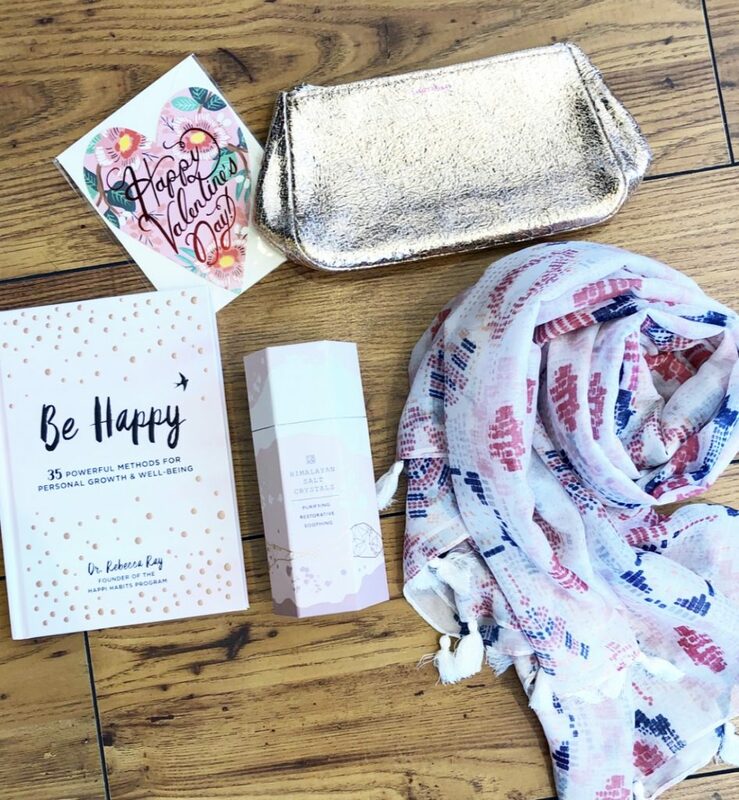 Valentine Card $5.25, Tracey Tanner leather pouch $99, Tassel scarf $64, Himalayan Salt Crystals $16, Be Happy $18. 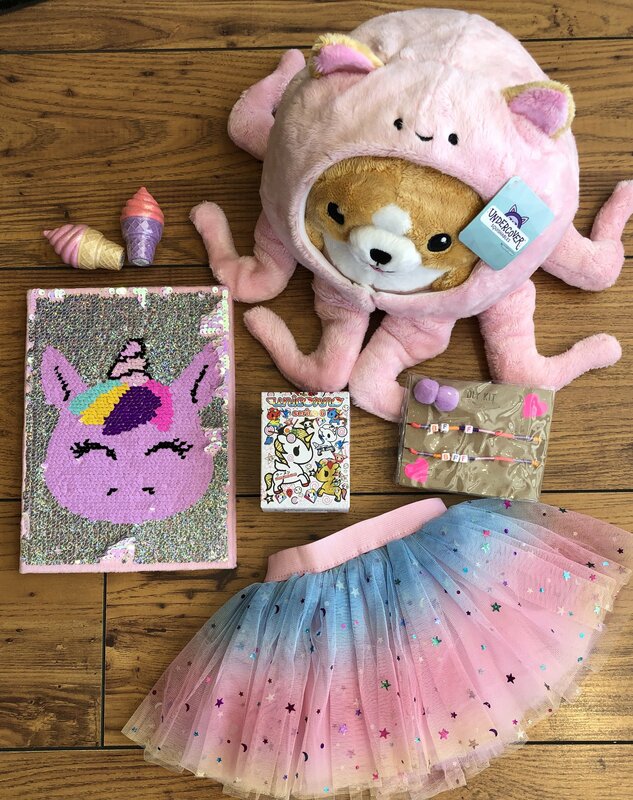 Ice Cream lipgloss $6 each, Undercover Corgi in Octopus $35, DIY BFF bracelet kit $24, Baby Tutu $28, Unicorno Series 6 $8, Reversible sequin notebook $19. And how about something for the guys? 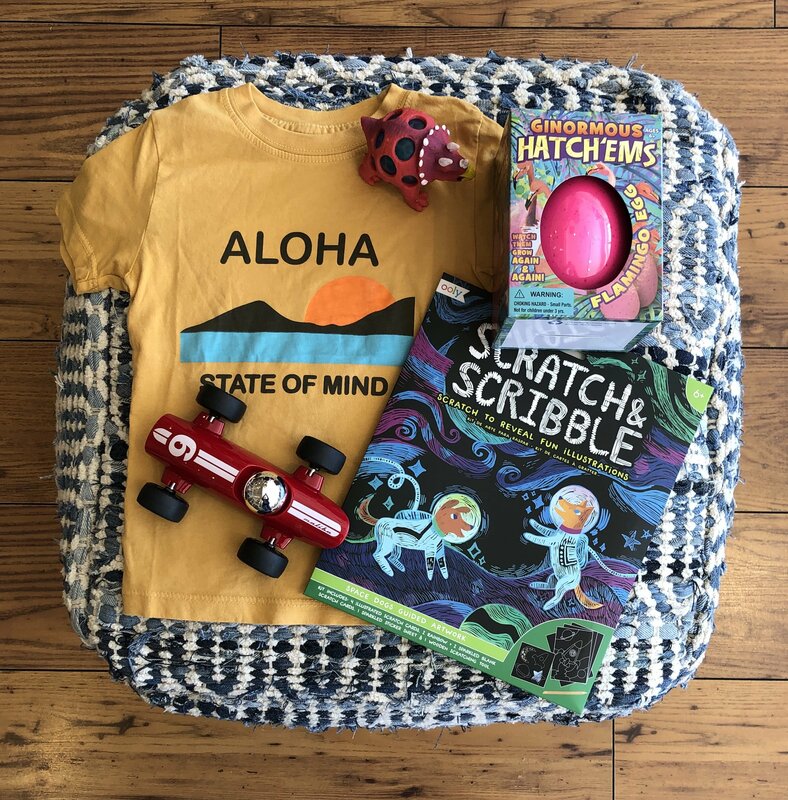 Aloha t-shirt $28, Dino squeeze ball $8, Ginormous Hatch’ems egg $6, Scratch & Scribble $9, Verve red racing car $34. Come on in and make your Wish List, and check out all of our new arrivals. We hope to see you soon. This entry was posted in Gift Guides, Gum Tree Shop and tagged gift guide by Lori.